Even though the SCENAR technology has been around for over 30 years, many of SCENAR enthusiasts and even SCENAR therapists still struggle when asked by novices, including new clients, to explain in simple terms how SCENAR works (or so we hear, again and again). I hope this article will help you with this small but very common difficulty. Is that important for your clients to UNDERSTAND how SCENAR works? I think, it really is. This knowledge will turn your client from a passive object of your expertise into an active participant in the healing process and a vital part of a Healing Triangle. But even more importantly, it will help one learn more about oneself. After all, SCENAR was built in the “image and liking” of a living system and essentially functions as such (auto-stabilization based on feedback). Hence, by learning SCENAR you can better understand your own body making a step towards closing the huge mind-body gap that a “civilized” man have so successfully created. SCENAR is an acronym, which stands for Self-Controlled Energo-Neuro-Adaptive Regulation (Regulator). In brief, SCENAR is an ADAPTIVE electrical stimulator. Even though it belongs to the same group of electro-therapy devices as the well known TENS unit (non-invasive low frequency electro-stimulators), the fact that it adapts to the human body, instead of making the body adapt to the device (which is the case with TENS), makes it very different. So different, that SCENAR is sometimes compared to a living system. There is a certain merit to this comparison. The main working principle of SCENAR is the same that all living systems use – the principle of auto-stabilization based on a FEEDBACK mechanism. Being placed on the skin, the SCENAR sends electrical signals to the body, which are very similar to the messages our nerves send each other (the shape of the SCENAR signal resembles the shape of a natural neuro-impulse). The body responds to the familiar stimulation in an adaptive manner, changing the electromagnetic properties of the skin in the area of stimulation. The SCENAR then screens that information and, using an adaptive feedback loop, modifies its own signals according to the perceived body response. Thus the SCENAR feedback feature allows opening a dialogue between two systems: the body and the device, which continues until the body completely adapts to the SCENAR. In the process of ‘the body – the device’ dialogue no one SCENAR impulse is identical to the previous one, following the continuous dynamic changes of the body. That prevents the early body adaptation to electrical stimulation – the downfall of the majority of TENS units. The continual electrical stimulation provides for massive release of certain biochemical substances, called Neuropeptides, or Regulatory Peptides (RP), in the nervous system (in particular, C-type nervous fibers forming most of the autonomic nervous system). The RPs, due to its chemical particularities, represent our body’s internal pharmacy of low molecular hormones, which keep us in physiological balance known as the state of health. Serving as a ‘packages of programs’, they turn on and off various processes in the body, including healing reactions. Blockage or delay of RP release results in slow or blocked healing. In this state, the body does not finalize the program of disease and keeps it inside in the ‘dormant’ state like some sort of ‘energy cyst’, or the place where energy dynamics is extremely slow. We all accumulate such ‘energy cysts’ with age. Some of them develop not only on physical, but also on mental/emotional or even spiritual levels. As stagnant ‘energy cysts’ emit repetitive signals, our body soon adapts to them and stops paying attention, merely keeping them in isolation behind the protective barriers of local adaptive reactions. The ‘energy cysts’ deplete our energy resources, making it progressively more difficult for us to heal, and can be a ‘time bomb’ if our body for one reason or another weakens. The challenging SCENAR influence and the SCENAR-induced release of Regulatory Peptides in large quantities break the stability and rigidity of unfinished programs of diseases, helping the body develop, finalize, and eventually eliminate them from our cellular memory. 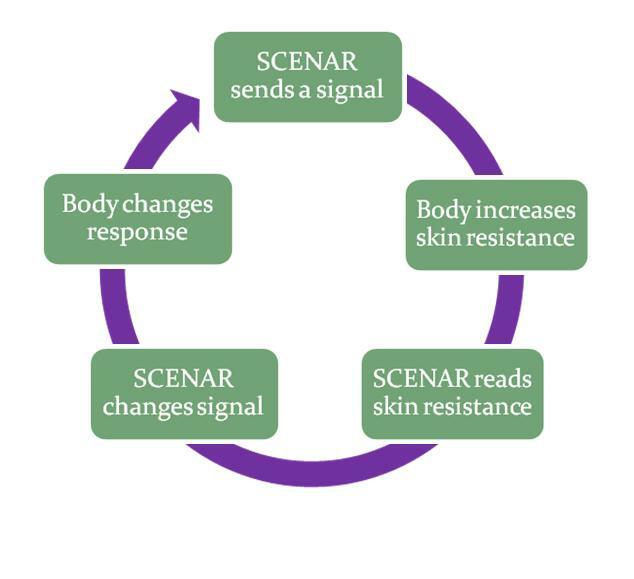 In other words, SCENAR in interaction with the body helps it complete its adaptive reactions. From a SCENAR point of view, any disease is an inadequate (too slow) adaptive reaction. That means that disease is not an unwanted and dangerous stranger for us; it is natural and even necessary for the body process, which makes us stronger and helps us grow. Healing starts with disease. We live in the world of systems. This is the way the Universe is organized. We consist of them – and become a part of them. The Universe itself is the largest living system, holographically repeating itself in its every part, so that the atom looks just like the Solar system. As far as information is concerned, the size does not matter. Our body’s intelligence reflects the universal cosmic knowledge at all times, and the only question is how we can evoke this knowledge and make it work for us. All living systems have similar basic structure and work in a similar manner – a microcosm reflecting the macrocosm. They are self-controlling, self-regulative, and self-reproductive and utilize the feedback mechanism for auto-stabilization. Systems keep the stability of internal environment (homeostasis) while exchange substance, energy and information with the ever-changing outside world in a constant fashion. The coherent state of balance between inner and outer worlds is achieved through ADAPTATION. 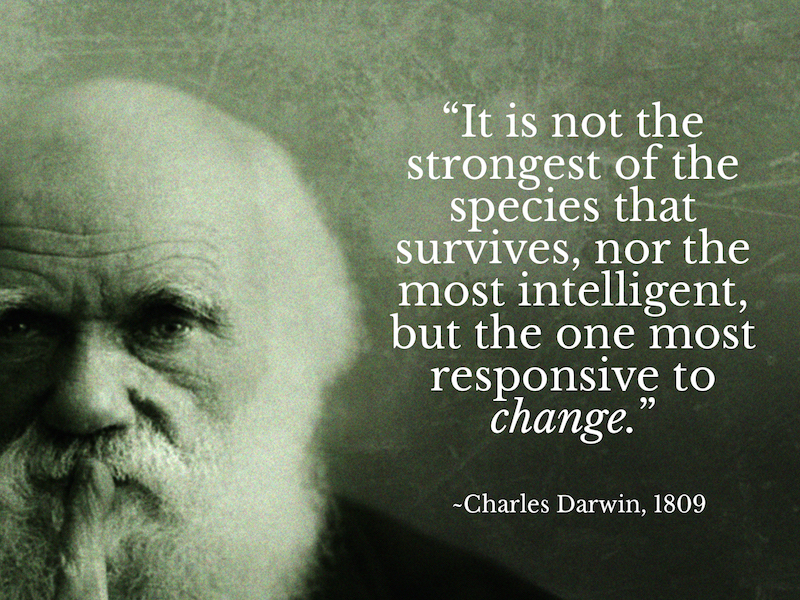 Adaptation keeps us alive and coherent, attuned to the world, which ensures the state of health. 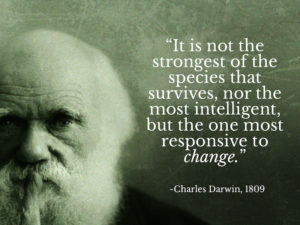 If adaptation is inefficient and slow, homeostasis is affected and we get sick. From this point of view, disease is a slow adaptive reaction. By helping adaptation, we help the system restore homeostasis and regain health. In the process of doing it, the system matures and evolves. Adaptation depends on COMMUNICATION. Fast communication between various bodily structures ensures the efficiency of adaptation. SCENAR, providing for the massive release of Regulatory Peptides as messenger molecules, quickly improves information exchange in the body, which results in dramatic acceleration of adaptive reactions. This pushes forward the cyclical program of disease and provides conditions for its completion. 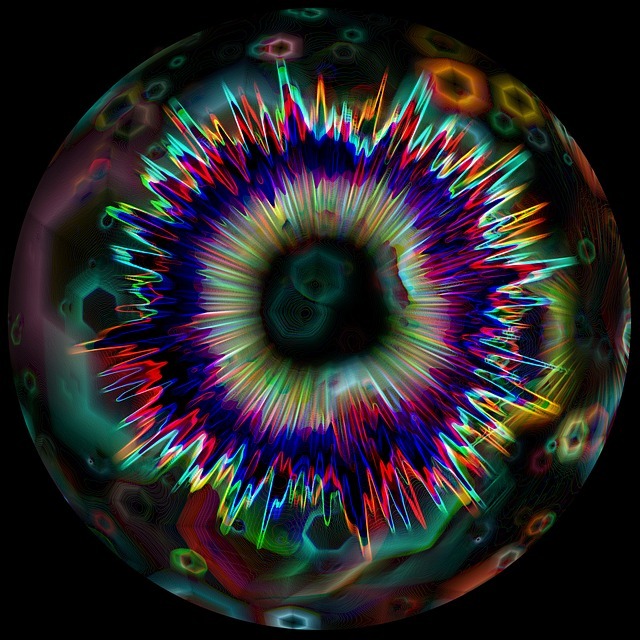 SCENAR assists the body in recognizing the existence of ‘energetic cysts’, in establishing priorities in their elimination and in dealing with them one by one, until all the programs running on the background of the body’s computer are closed. The healing process continues until this is achieved, and the body energy resources are free from stagnation and blockages. The body restores its coherent state, being synchronized with the bigger systems, which it is a part of. It is now ‘at peace with itself and with the world’. In this healthy state adaptation works with maximum efficiency and new challenges are easily dealt with, either they are of physical or mental/emotional or even spiritual nature. SCENAR is a truly wholistic technology. P.S. Please feel free to adopt my article for your own purposes, if you wish. I would, however, ask you to use it “as is”, without any major editing or restructuring. We all like to improve on things – and yet, there is a reason it’s written the way it is (actually, following some of the major principles of SCENAR therapy). And practice shows that it works. I am confused. You said this about SCENAR “…..the fact that it adapts to the human body, instead of making the body adapt to the device (which is the case with TENS), makes it very different”. Then in the next paragraph you said “…..which continues until the body completely adapts to the SCENAR.” Are you saying the SCENAR adapts to the body and via the feedback loop the body eventually adapts to the SCENAR? Does the body adapt to SCENAR or SCENAR adapt to the body or are both those things occurring? Thank you. The body always adapts – to the changes in the environment, to the direct influences, to TENS, to SCENAR… to everything. It never stops. It is the very essence of our life and the key to our survival. However, it is only SCENAR that can adapt to the body; no other electrostem device has that ability. So in the body-SCENAR interaction both “parties” adapt to each other. It is a dialogue, while with any other electrical stimulator only the body is adapting, and there is no dialogue. The body’s adaptation to SCENAR manifests in changes of the electrical resistance of the skin (impedance). At some point the body exhausts its adaptive capability “here and now”, the impedance won’t be changing anymore, and SCENAR signals will become monotonous. That’s the end of a dialogue, and the device will let you know when it happens. The dialogue can start all over again with the next SCENAR application though, after the body gets some rest and processes the received information. So yes, the body eventually adapts to the SCENAR too, as it adapts to everything else. The speed of adaptive reaction at that point will reach “0”. The difference is that it will happen much later than with other electrostimulators (since the SCENAR tends to “run away” from the body’a attempts to adapt to it) – and in the process of that adaptation profound healing happens. Since everyone responds differently to injuries, especially as serious as yours, it is impossible to recommend a treatment protocol not knowing your particular situation in detail. We would highly recommend finding an experienced practitioner who can supervise your treatment and follow his/her recommendations. If you let us know where you live, we may be able to suggest a practitioner closest to you. Dear Dr. Ahmed, what device do you have? Thank you for sharing this new information,it will help me more to understand my home device .since I own my scenar I use it anytime when I need it I’d been free from pain thank you again…more power to you .